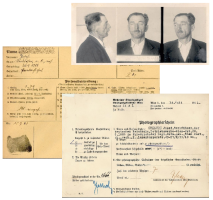 The GESTAPO-Files of the "Vienna Stadt- und Landesarchiv" were the first documents which were added to the digital image library of the "Documentationarchive of the Austrian Resistance". The system has been designed to be used in combination with a dedicated Photo-Application-Server consisting of a RAID 5 mass-storage system, a DDS-4 or removable disk backup system and a powerful CPU. The images were scanned and stored using M-IT's PhotoPhoenix. It is an intranet solution which allows instant database-access for selected users using their web-browser. The system supports server-based real-time image manipulation and preview. Records are added and modified at an unlimited number of scan-stations. M-IT's scanning software add-on builds the bridge between the browser-oriented data administration and the picture capturing mechanism.